Auto collision repair is more complicated than you might at first think. The days of hammering out a dent for a few bucks are well in the past. So if you’re looking for the best in auto body repair, this is why we at ACS stand out. 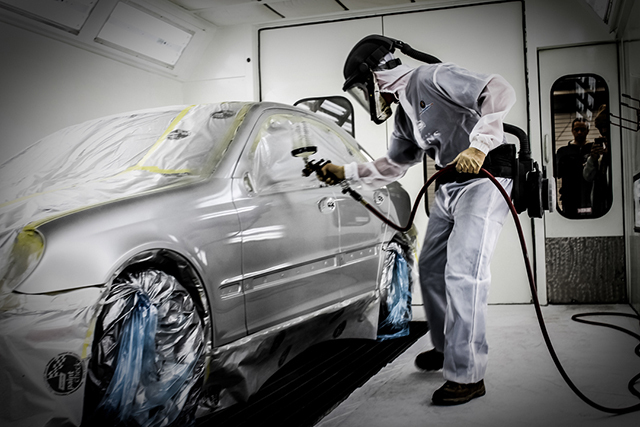 At ACS, we pride ourselves on having the latest collision repair technology on the market. As car designs have become more complicated, so has repair technology and the demands placed on it. For example, a good shop is now equipped to find and fix bends and wear in the unibody of a car that even five years ago would have been impossible to find. 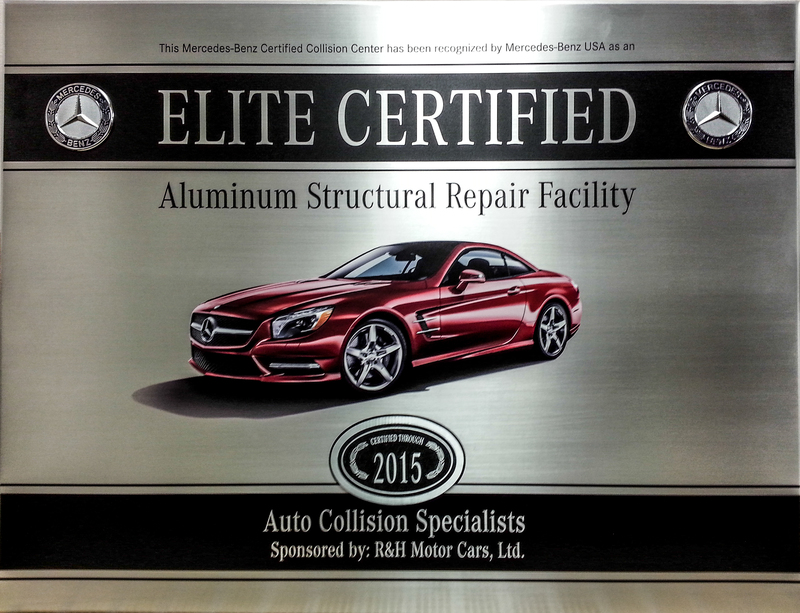 We were one of the first shops to install the Mercedes-Benz CELETTE auto unibody system, used every day on repairs at the shop. Similarly, repairs now require a degree of precision that was formerly unimaginable outside the finest machining shops. Tolerances can be right down to the micron with some modern repairs. At ACS, we stay on top of technology and make sure our shop has the tools needed to return your car to its pre-collision state. It’s why we were the first auto body repair shop in Maryland to be certified to repair the Mercedes-Benz brand, and why we remain one of the foremost auto body shops in the Mid-Atlantic. Right from the start, ACS has been of the opinion that the right technology doesn’t matter without the right people. That’s why our technicians are certified through ASE, I-CAR, and hold other certifications, and are constantly updating their training and learning new techniques. Our goal at ACS is to have staff that are capable of taking on any collision challenge, no matter how tough the job. Whether your car has nearly been totaled or you just had an unfortunate run-in with a shopping cart, your car will be repaired carefully using the latest techniques. We know it’s frustrating when you’ve got to get your car fixed and are treated like just another number on a list. ACS has thrived for decades because of the personal touch. ACS started more than three decades ago with just one man, Chuck Scilipote. Frustrated with the quality and the sometimes gruff service he got at other shops, Chuck opened a small two-bay garage in July, 1980, and every single weld, repair, and fix was performed by him and backed by his good name. Chuck’s wife, Carey, joined soon after he opened, and the whole family can be found in the shop today, working on repairs, speaking with customers, and ensuring that ACS delivers the same quality on every single repair. And they also ensure that every customer is treated like a person. 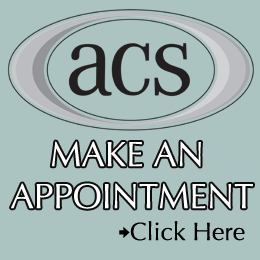 At ACS, we’ll be clear about what’s wrong with your car, what we’re doing to repair it and why. We don’t cut corners, because we wouldn’t cut corners with our family. The family tradition continues at ACS, as ownership has been passed on to Chuck and Carey’s sons – Charles, Dan, and Andrew. And in the end, that’s what makes ACS the best. The best technology and knowledge is backed by a family that cares about every car that comes into the shop. 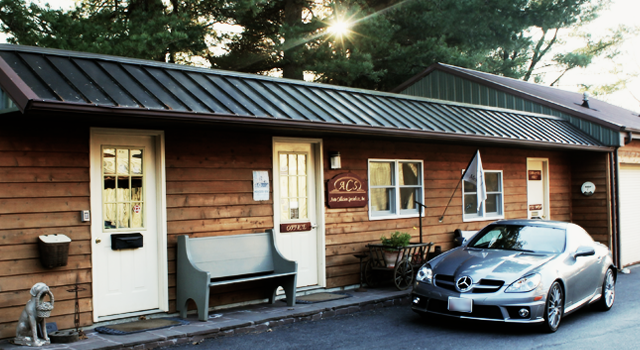 Car repair isn’t impersonal, not when you take it to ACS.